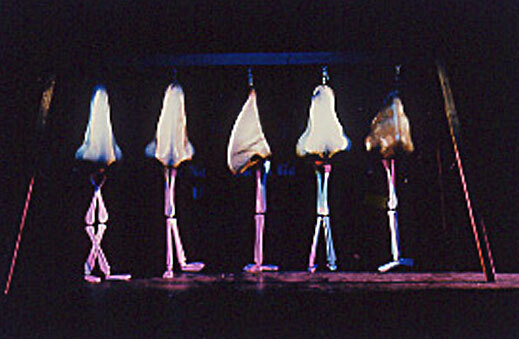 Five manipulators, three musicians, and 50 puppets. Score by Virgil Moorefield, lyrics by Andrea Balis. 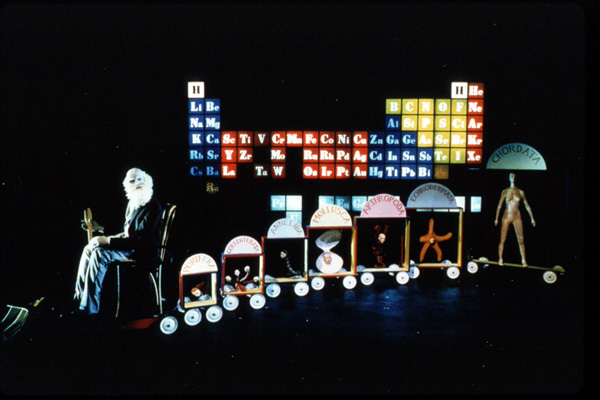 Charles Darwin introduces his species as a "train of life". A laboring woman is attended to by three medieval midwives who encourage her to give burth at an astrologically auspicious moment. be determined the degree of development attained by that particular nose.